designed by Domingos Sequeira, 1846. 1 The Bank of Portugal (Banco de Portugal) still exists but many functions have been taken over by the ECB. The Banco de Portugal (English: Bank of Portugal) is the central bank of the Portuguese Republic. Established by a royal charter on 19 November 1846 to act as a commercial bank and issuing bank, it came about as the result of a merger of the Banco de Lisboa and the Companhia de Confiança Nacional, an investment company specialised in the financing of the public debt. The bank issues legal tender that is designated as the national currency – the real until 1911, the escudo from 1911 until 1998, and the euro since 1999. 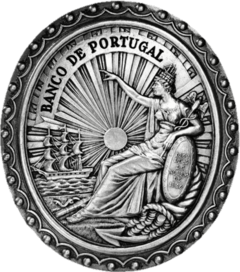 Following its nationalisation in September 1974 and its new Organic Law (1975), the Banco de Portugal was, for the first time, responsible for the supervision of the banking system. 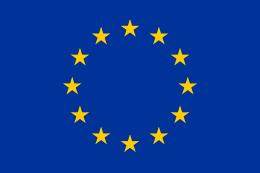 It is an integral part of the European System of Central Banks, which was founded in June 1998. The current governor is Carlos Costa. In 2013, the bank announced that it would pay €359 million in dividends, referring to the year of 2012. In 2014, the bank announced that it would pay €202 million in dividends, referring to the year of 2013, representing a steep decline in comparison to 2012. In August 2014, Banco de Portugal announced it was restructuring Portugal's second biggest bank, Banco Espirito Santo, by splitting the bank in two. During the bank restructure, one of the lenders, Oak Finance, had its loan liabilities remain with Banco Espirito Santo. This triggered a lawsuit from a group of investors including: hedge funds and the New Zealand Superannuation Fund. ↑ "Sovereign Wealth Fund Takes Legal Action Against Banco de Portugal Over Costly Debt Transfer". Sovereign Wealth Fund Institute. 20 February 2015.